This March 2014, Repetto had decided to open a new chapter in its history. 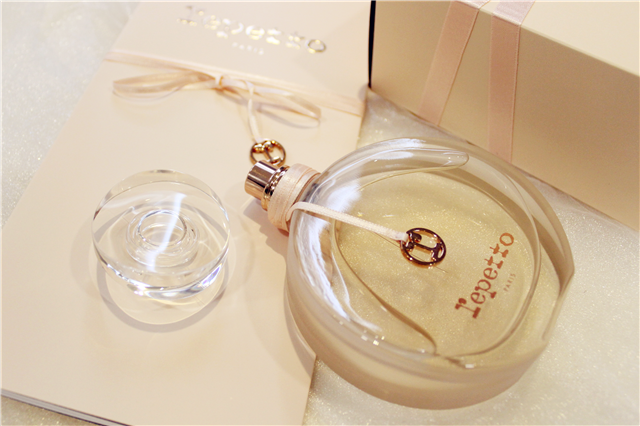 Repetto has launching its first perfume calls The First Fragrance by Repetto. 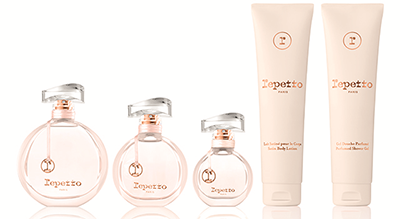 Repetto has now created a fragrance of their very own, an elegant aura, like a ballerina performing an arabesque driven by a subtle signature providing self-confidence and lifting the body into the air like Carlotta ballerina. 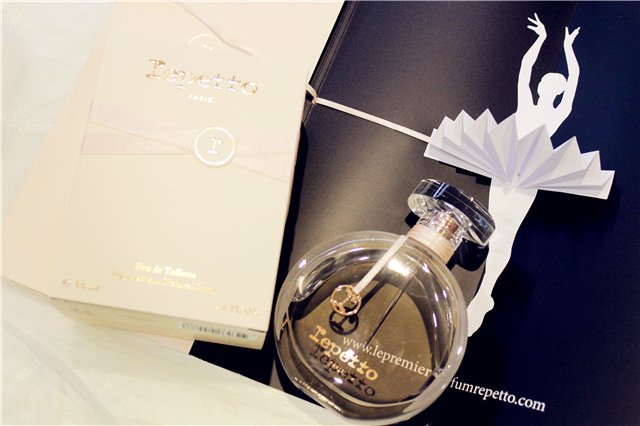 Repetto called on the perfumer, Oliver Polge to create the formula. Rose is the fragrance's spine, rolling over the skin like a satin ribbon. A rhythmical choreography that opens with the optimistic entrechats of pear and cherry blossom accords. We also recognize the precious essence of rose fusing with orange blossom. A bewitching floral heart that arches towards the powdery's arms. Then comes the sensual pas de deux between the vanilla pod and the warmth of the amber wood to create absolute equilibrium. A tender, delicate, refined perfume. 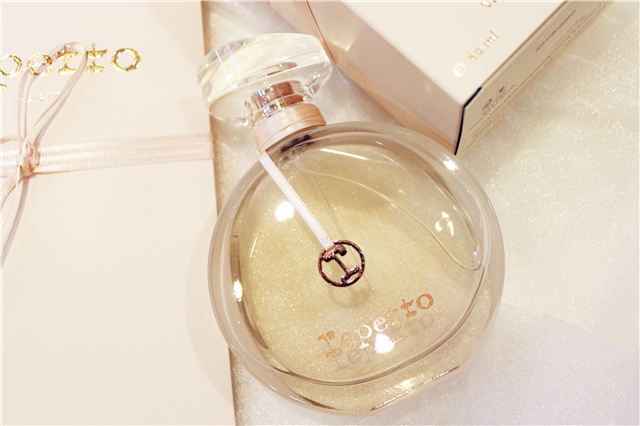 The powdered case is the extract same color as the famous Repetto pink, while the bottle that sits within it bears an identical ribbon to that used on the famous Carlotta ballerina. The satin ribbon wrapped round the bottle, knotted at the nexk, sealed with the brand's iconic lower-case 'r' and weighted with an elegant drop pendant. As for the subtly tinted glass bottle, it seems to have been carved in a perpetual motion. Like a fully choreographed body, the bottle required months of rehearsal. A play of curves, volumes and unbridled forms gives the glass a unique suppleness. Embraced by your hand, it reveals an unparalleled sensuality and softness. Tapered, rounded but entirely irregular, it seems to have always existed, just like a principal dancer simulated apparent ease through their grace. A work of pink glass, between frost and transparency. Repetto could find no better ambassadors than these exceptional women. That is why the firm chose Dorothée Gilbert to embody their brand new fragrance. Photographed by James Bort in the privacy of her dressing room, the Danseuse Etile prepares to go on stage. Hair carefully styled, already wearing her costume, she savors her opportunity, that of finally living her childhood dream. Miss Dorothée Gilbert, Principal Dancer of the Opéra National de Paris, has been the Repetto ambassador since January 2014.